Dermalogica Facial treatment formulas have pioneered new standards for product performance and treatment. Using only the finest ingredients available, all Dermalogica products are non-comedogenic and contain no occlusive mineral oil or lanolin, no irritating artificial colours or fragrance and no drying S.D. alcohol. 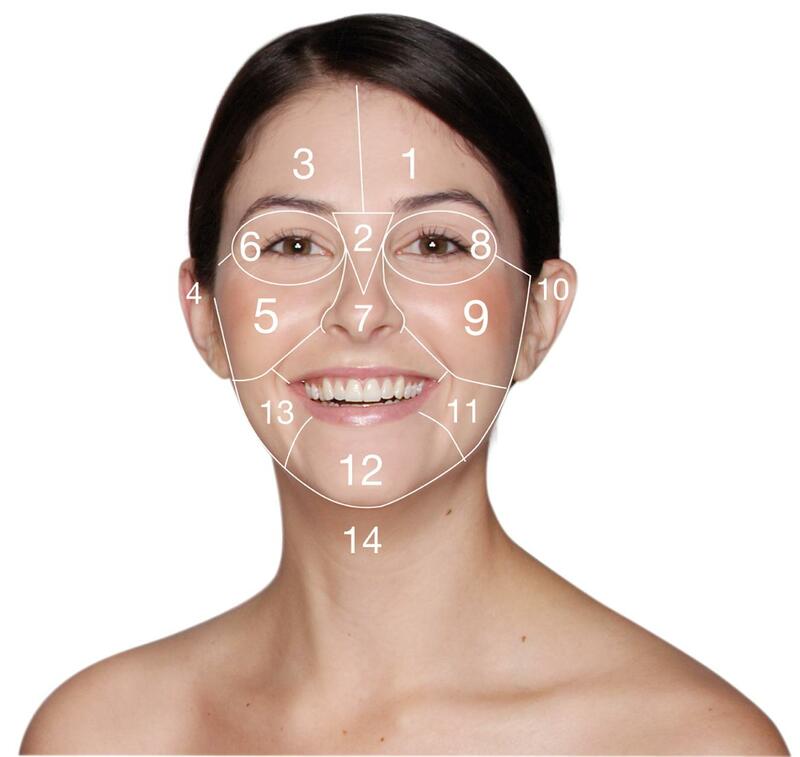 Dermalogica facial treatment are designed to suite individual skin after consultation and face mapping. Traditionally, this zone is regarded as the "sister" to the bladder and digestive system. If you breakout frequently in this area, it might mean that you need to improve your elimination by drinking more water and eating more "whole" foods. The ears are a highly sensitive area related to the kidneys. If you notice that your ears are very hot, you might be stressing them out - drink plenty of plain water and cut down on caffeine and alcohol. The cheeks often give an accurate glimpse into any respiratory distress. Smokers or people suffering from allergies generally experience fine, broken capillaries or congestion in this area. Breakouts or unusual hair growth can indicate hormonal imbalance, possibly caused by extreme stress. Premenstrual breakouts are also very common on the chin. Don't forget to include your neck in your treatment regimen - its skin is just as fragile as that on your face, so it definitely needs the benefits of moisturisation and sun protection. Dermalogica Facial Treatment for man. A Dermalogica facial treatment is a once in a lifetime treat, one of the best skincare products on the market, widely used by celebrities and the country's leading spas and health farms. Face mapping and many luxurious step by step treatments will leave your skin looking softer, smoother and feeling deeply cleansed. Fabulous !!! 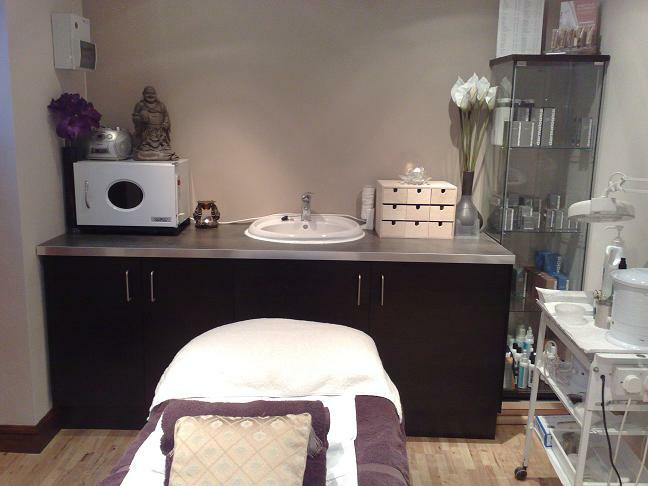 This Dermalogica facial Wandsworth treatment is the ultimate in acne management. It targets current breakouts while helping to prevent future breakout activity and promote healthy, consistently clear skin. This Dermalogica facial treatment is target on area of congestion and breakouts. It is good for client who has no time for an hour treatment but want a quick, targeted solution to an immediate skin care concern. It helps to prevent future breakout activity and promote healthy, consistently clear skin. This Dermalogica facial treatment helps to exfoliate dulling surface debris to improve surface clarity, helping to minimize the appearance of sun and age spots. It also regulates pigment production on the celullar level and provides all-over brightening and tonal balance. 1. I'm practising from home. That is why I can offer high quality service at a very reasonable price. I don't have to pay extra to rent expensive shop on the high street. The saving is then pass on to you. 2. This is my own business. That is the motivation to provide high quality service compare to other employed beauty therapist. The commitment level is always different from somebody running their own business compare to somebody employed. 3. I'm a BABTAC and CIDESCO fully qualified beauty therapist. I am a member of British Association of Beauty Therapy and Cosmetology Ltd (BABTAC). I'm trained to very high international standard in hygiene and treatment. My house is located near Wandsworth Town Centre, London and it is within 3 miles radius of Fulham, Chelsea, Kensington, South Kensington, Knightsbridge, Victoria, Pimlico, Battersea, Vauxhall, Clapham, Putney, Wimbledon, SW18, SW1, SW3, SW4, SW5, SW6, SW7, SW8, SW9, SW10, SW11, SW12, SW17, SW19. I have clients coming from North, South, East, West and Central London because my house is very well connected via Tube and Bus services. There are many buses pass by the area. Bus no 28, 37, 337, 39, 156, 87 just to name a few. My house location is surrounded by train and tube station. The nearest station to us is Wandsworth Town Station which is 5 to 10 minutes walk, Clapham Junction Station is about 15 to 20 minutes walk, Putney Tube station and Earlsfield Station. Call me on 077 4823 7118 to make a Dermalogica Facial Treatment appointment. I look forward to meeting you.